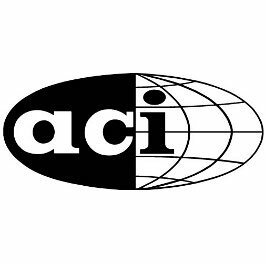 In 1991,the American Concrete Institute(ACI) published guidaelines for normal, heavyweight and mass concrete mix design. The absolute volume method of mix design as described by ACI committee 211 is presented. Applies equally well with more or less identical procedure to rounded or angular aggregate. To regular or light weight aggregates. To air entrained or non-air-entrained concretes. A Properly Proportioned Concrete Mix Should Posses These Qualities. Class of concrete to be designed. Cement factor (minimum cement content). Air content (mean air content). Nominal Maximum size of aggregate. Batch weights calculated from volumes assume dry CA and dry FA. Adjustment based on moisture contents for both CA and FA. Correction for the water content is must. The mix proportions for the actual materials to be used must be checked and adjusted by means of laboratory trials consisting of small batches.Fresh concrete should be tested for slump, workability, unit weight and air content; specimens of hardened concrete cured under standard conditions should be tested for strength at the specified age.